I most definitely relate to this. Thank you for these words Frank! I can tell you highly value your time with nature. I too often take it for granted. This is one of the most relaxing things to do. Beautifully written, I really enjoyed reading this poem…thanks for posting. Very transcendentalist Frank, even close to one of the Romantics, like Wordsworth or Colleridge. Love it. Lovely. This will be me tomorrow. It’s beautiful ! I felt as if I was there ,in that very location. Well done — like the idea of sitting quietly with Nature, not alone and perfectly at home. Don’t wait, start with day trips! Wonderful! I love my beach therapy! Nature…always there when we need solace. A beautifully written poem with a strong message of praise to nature. Your two last lines really drives it home. 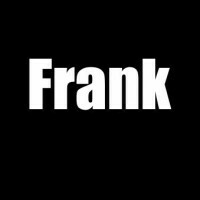 Thanks, Frank. Yes. Alone but not lonely. Love it. You’re most welcome! Enjoy the weekend. Sometimes when I go caving, I like to turn my lights off, move away from the others and enjoy the silence of Nature. I think Emerson used to say that you only really experience nature when by yourself, because having another person there influences you and changes the experience. Or I made that up… I guess I could google it but I like the thought so I’ll let it live in my head a little longer. Nature, in all its glory is good company. Well done! Wow! Amazing poem, it makes me wanna read it again and again.